A very popular and widely used cooling, relaxing and soothing balm, Effol Horse Balm is ideal for use immediately after strenuous work and high performance. Containing refreshing and stimulating botanicals, Effol Horse Balm has a fast acting therapeutic effect on stiff, sore and swollen muscles and general tension. 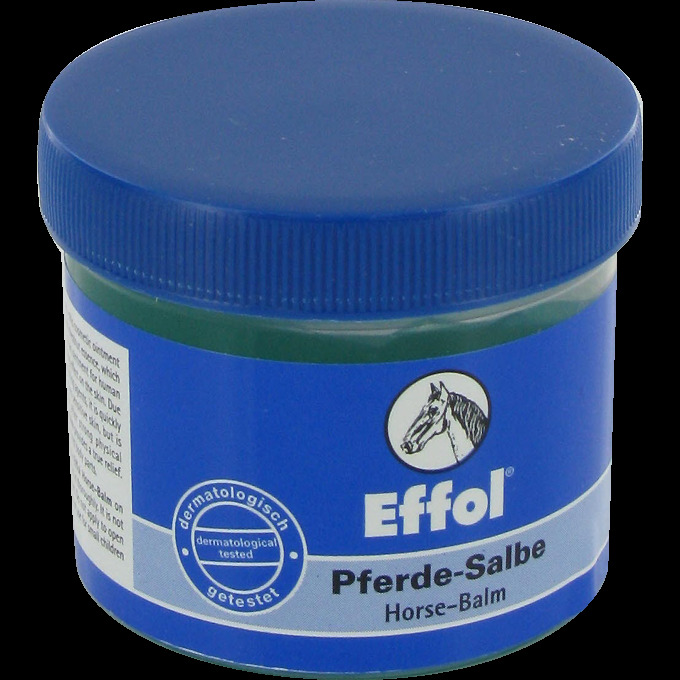 There are currently no questions for Effol Horse Balm for Horses - be the first to ask one!